Medical practices are very different from other businesses, because every day is unique and chaos is a part of the profession. However, it is in managing the unknown variables that set profitable practices apart from chiropractic practices that are unproductive. Practice management for chiropractor’s strategies can be implemented to increase staff efficiency and improve the profit margin for any practice. These coaching for doctors tips are ideal for all types of medical practices and are practice management techniques for doctors and chiropractors. A doctor is only as knowledgeable and productive as their staff. This means that in order for your practice to become more profitable without adding hours to the workday, you must train your staff sufficiently. This requires having a staff that is not only informed of their job duties, but also adequately shown how to perform these tasks. Delegation is an important component of practice management for chiropractors, but it only works if your staff is adequately trained. If you are sure that your staff understands their duties, you will feel more comfortable with delegating tasks and improving the overall efficiency of your practice. Instead of referring your patients to health stores for products, you can sell health items in your practice. If you train your staff to sell in your chiropractic clinic, you can increase your profits and also add convenience for your patients. Instead of sending your patients to another store location, you can develop deals with health product brands. This will enable you to sell products that your patients need. Selling these products can be very simple if staff training for chiropractic office techniques include selling procedures. Having a friendly and helpful staff to communicate the benefits of these products to your patients, will enable you to increase sales. Why is Practice Management for Chiropractors Important? If you want your practice too reach its potential, you must implement changes into the overall system. 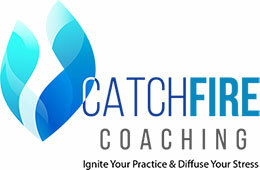 Slight tweaks can have tremendous results and change the entire function of your practice. The goal should be to increase patient intake without sacrificing the quality of care. By properly training your staff and adding product sales to your practice, you can increase efficiency and customer satisfaction immensely. Running a medical practice can be overwhelming, but if you are open to delegation and adequate staff training, you practice can become infinitely more productive.